Hassle free weight loss is now possible! 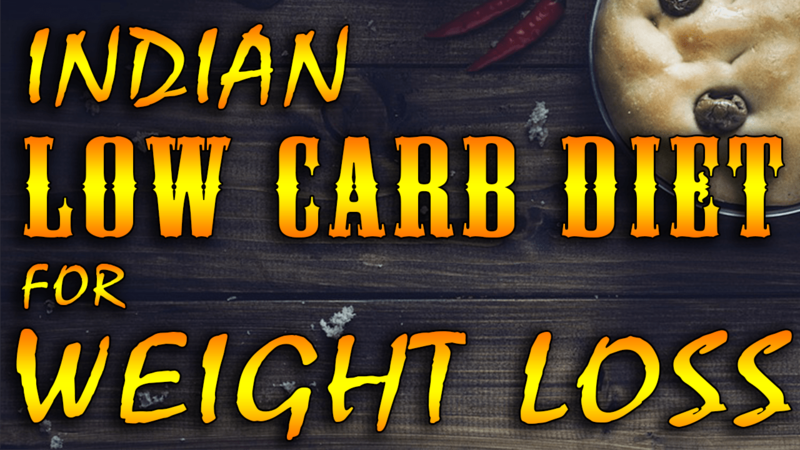 An Indian low carb diet plan for weight loss is an eating pattern where you restrict carbohydrate intake and increase protein intake and maintain a moderate fat intake. An Indian low carb diet plan for weight loss allows 20 to 40 grams of carbohydrates in a day. Some low-carb diets greatly restrict carbs during the initial phase of the diet and then gradually increase the number of allowed carbs. The Indian version of the Atkins diet plan for weight loss. Indian ketogenic diet plan for weight loss. The above-mentioned diets are fixed menus and difficult to follow by every person. Hence, we have Designed this Indian low carb diet plan for weight loss. This is very easy to follow and a practical diet plan. The menu is based on the day to day food items that we already use in our households. This not only makes dieting easy but also helps in losing weight. How to plan an Indian low carb diet plan for weight loss? Most Indian Sweets and desserts. We as Indians have carbohydrate as our major component of the diet. It is especially difficult for the vegetarians to switch to a vegetarian low carb diet plan for weight loss. Most vegetarian foods contain at least some amount of carbs, unlike meats which are almost zero carbs. Indian vegetarian low carb diet plan for weight loss can include some amount of complex carbohydrates, pulses, and legumes, as well as some sprouts. It can consist of some fibrous fruits and vegetables too. Low-carb diets help in preventing various health conditions. Some of them are listed below. With a low carb diet, we see significant weight loss along with improvement in other health parameters. This aids in correcting metabolic syndrome. Ingestion of limited carbohydrates eventually leads to less sugar spike in the blood. Controlled levels of blood sugars help in fruitful management of diabetes. Including lots of fiber through low carb fruits and vegetables not only manages the blood pressure but also helps in weight issues. The inclusion of lean protein not only helps to improve high-density lipoprotein (HDL) cholesterol but also improves triglyceride values. There is also a decrease in total cholesterol in the body. Better fertility in some cases. Who Should Not do a Low Carb Diet for Weight Loss? Taking medication for diabetes: If you take insulin or other diabetes medications. There are chances of hypoglycemia episodes. Hence, follow the diet only under a dietician’s guidance. Taking blood pressure medication: Low carb diets can further reduce blood pressure. You can follow the diet under the strict supervision of a certified professional. Breastfeeding: It can lead to deficient intake of all nutrients required during lactation. Which in turn can get detrimental to an infant and nursing mother both. Maize, Bajra, as well as jowar. Broken Wheat/Daliya as well as couscous, quinoa, and oats. Read -Indian foods rich in complex carbohydrates. Lean meats, Chicken as well as Pork. Sea foods like Fish, lobster, shrimp, as well as Crab. Milk, Cheese, Paneer, Curd as well as Feta cheese. Legumes and pulses like – mung dal, Lobia , channa, chickpeas as well as Horse gram. Sprouts Made from green moong, moth as well as channa. Nuts like walnuts, almonds, pine nuts, Brazil nuts, Pecan, macadamia nuts etc. Seeds like Sunflower seeds, pumpkin seeds, hemp seeds. Flax seeds as well as chia seeds. Olive oil, peanut oil or coconut oil for cooking. Nut butters like almond butter or peanut butter. Avoid table sugar and sugar containing foodstuffs. Avoid soft drinks, fruit juices, candy, ice cream and many ready to eat products that contain added sugar. This may also include starchy grains like wheat, rice, barley and rye, as well as bread, cereal and pasta. Also, restrict refined flours like maida, corn starch, Arrowroot flour as well as potato flour. Exclude hydrogenated or partially hydrogenated oils or oils that produce trans fats on heating. Few ready to eat products such as junk food and fast foods also have trans fats. You need to keep a tab on such foods too. Many dairy products, cereals as well as crackers are fat-reduced and marketed as diet foods. However, these foods contain added sugar and starches. It is best to avoid such foods. It’s best to limit starchy vegetables in your diet if you’re following a very low-carb diet. These include all root vegetables. Keep breakfast super low on carbs. Either opt for only egg preparations with black coffee or Sprouts with black coffee. Replace all starchy carbs with high fiber veggies and protein options. When eating out on our low carb diet plan for weight loss, get an insight of the recipe and opt for a high fat, high protein and low carb recipe. Any egg recipe without use of much carbs is the best option when you eat out. Low carb ready to eat foods do not aid in weight loss but have exact opposite reaction. Avoid to fall prey to such gimmicks. Instead of choosing Baked chips , baked chakali, that are sold with the name of diet snacks, Choose to eat healthy high fiber fruits as well as nuts and oil seeds. You can fill the in between meal times either with zero calorie liquids like green tea or low calorie liquids like buttermilk. This will keep you full till next meal. Here is a sample of 1 full day of Indian low carb diet plan for weight loss. In between the meals you are allowed to consume infused water, green tea or spice and herb concoctions. This will keep you full and also fulfill vitamin and mineral requirement. Top 10 Indian vegetarian keto recipes. Indian vegetarian keto diet plan for weight loss. Indian Keto diet plan for diabetes. Top 10 Indian keto recipes. Low-carb diets may lead to greater weight loss when compared with other diets. A study shows that high protein, low-carbohydrate diets offers significant weight and fat loss. Cutting calories and carbs along with the extra protein and fat keeps you feeling full for long. This is how we achieve our weight loss target. The key to this diet is to select the right foods that the body require. i am student spend most of the time at pg.please suggest me a diet plan according to this. my age is 20 years and my weight is 70kg.